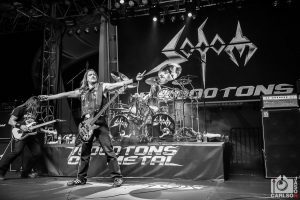 German thrash legends Sodom were in top form on 70,000 Tons of Metal. The band played two stellar sets, and it is fitting, given the contingency of Germans that make the annual voyage. 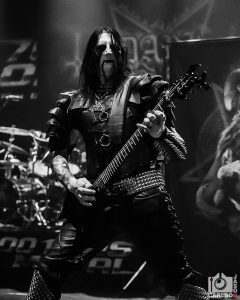 All photos by Photo Editor Jason Carlson. 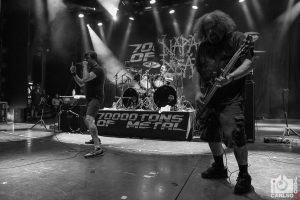 Death metal legends Obituary decimated fans during their two performances on 70,000 Tons of Metal. 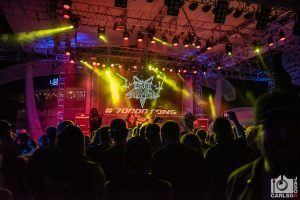 The Florida boys brought an energy that few are capable of delivering, particularly during their Pool Deck Stage set. All photos by Photo Editor Jason Carlson. 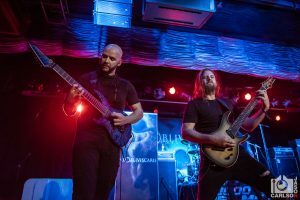 Ne Obliviscaris were the topic of many conversations on the 2019 70,000 Tons of Metal cruise. Catching one of their sets was a requirement, and Photo Editor Jason Carlson made good for us. 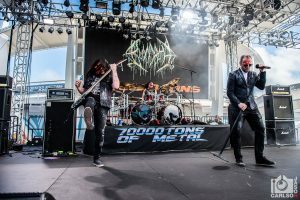 Kalmah took the stage on 70,000 Tons of Metal, and they quickly stirred the crowd into a frenzy. They were crisp, polished, and furious in their approach, leaving fans old and new speechless. All photos by Photo Editor Jason Carlson. 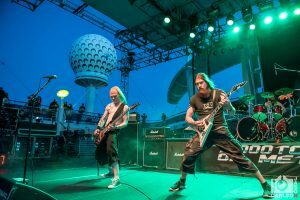 One of the stand-out sets on this year’s 70,000 Tons of Metal cruise was Tiamat‘s performance of their Wildhoney album. 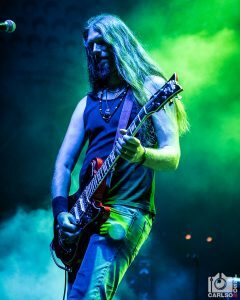 Check out Jason Carlson‘s live photos of the band in action! 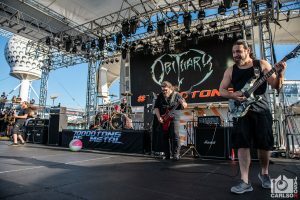 Bloodbath delivered two intense sets of music on 70,000 Tons of Metal, including a rocking Pool Deck Stage set that marked one of our favorites aboard this year’s cruise. Photo Editor Jason Carlson captured the fun! 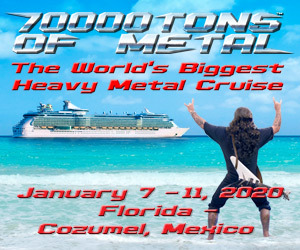 Let’s continue our coverage of 70,000 Tons of Metal 2019, shall we? 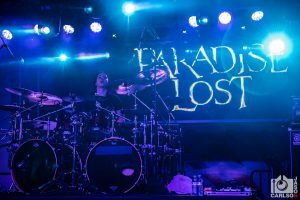 This time, we have a gallery of Paradise Lost performing on the pool deck stage of the Independence of the Seas!